Stunningly beautiful Rincon de Guayabitos, Mexico. 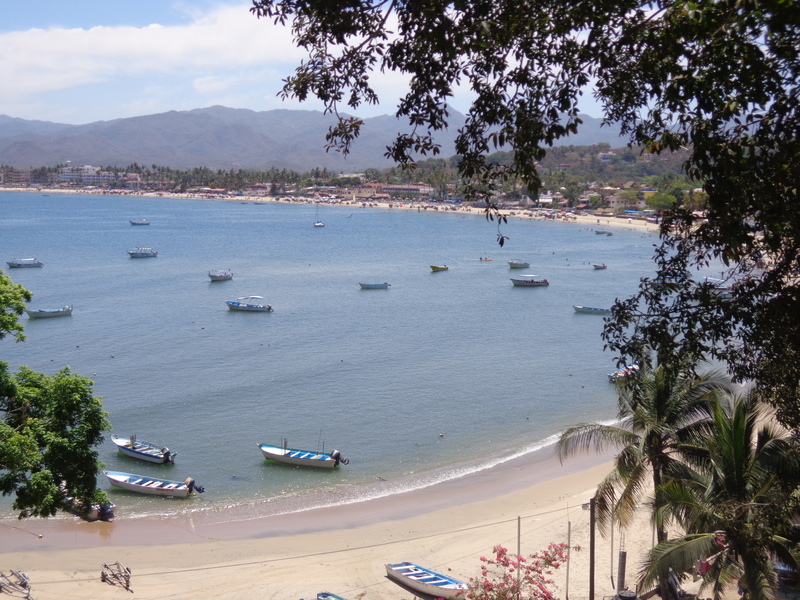 Rincon de Guayabitos is situated along the shoreline of Jaltemba Bay in Riviera Nayarit. This colorful and vibrant beach town is located just 30 miles north of Nuevo Vallarta, and from Puerto Vallarta it’s about an hour’s drive down well-paved and scenic Highway 200. In addition to plentiful accommodations and dining options which are well suited for the mid-range budget, its lively and festive atmosphere attracts scores of national and international visitors throughout the year. But the largest draw to this lovely family-friendly town is its wide and beautiful 2-mile-long beach (Playa Rincon de Guayabitos) with gentle surf that’s perfect for swimming, boogie boarding, kayaking, snorkeling, and other water sports. The beach is wonderfully flat and is perfect for a leisurely and romantic afternoon stroll. Frequent visitors to Jaltemba Bay often referred to it as a giant natural swimming pool. And from what we’ve experienced, that’s a perfect description for it. The water is warm and the waves are mild. Adding to the area’s natural beauty are two small islands off the coast that provide a stunning silhouette against the ocean and tropical landscape: Cangrejo Island (Crab Island) and the larger Coral Island. The many fishing boats docked not far off shore provide a picturesque look and feel to the surrounding environment. In deeper waters of the bay, plenty of dolphins and whales can be seen frolicking about during the well-visited months of November through March. Right on the beach there are plenty of food options from palapa-covered eateries and bars to convenient food carts set up right on the sand. Vendors stroll the beach selling grilled fish and shrimp on a stick, as well as coconuts, pineapple, and other tropical fruits. Other vendors offer a wide variety of cute and colorful souvenirs at great prices. Avenida del Sol is the main street in Rincon de Guayabitos, and conveniently it runs the length of the town from north to south. Along the southern portion of the main street there are a variety of restaurants, cute hotels, small stores, and little corner markets. Along the northern portion of this street you’ll find the tourist office. 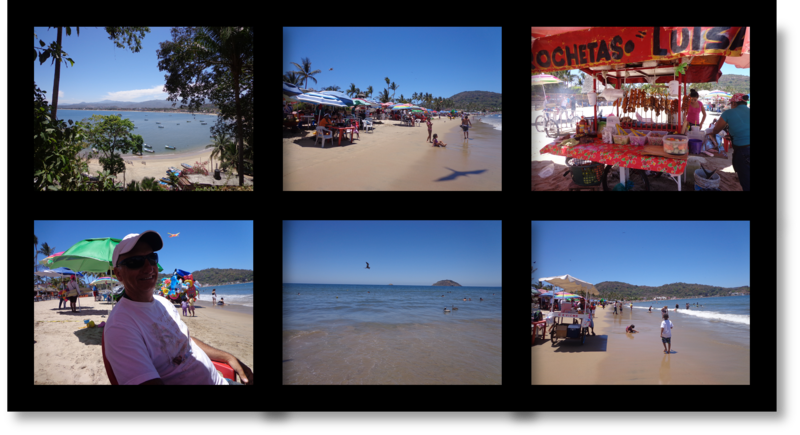 From Puerto Vallarta, Rincon de Guayabitos is an excellent road trip destination. If you plan on leaving your resort or condo by 8 a.m., there will be ample time for a full and satisfying day in this fun and lively beach town.